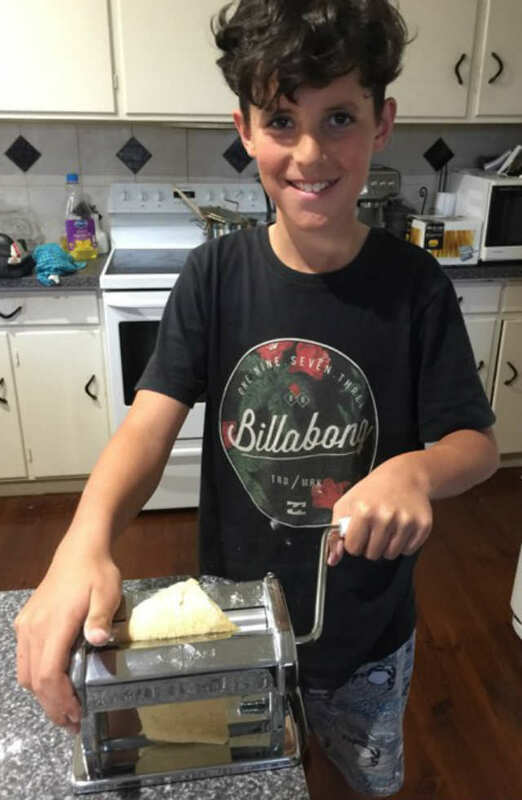 Sam, a nurse from Wangaratta, Victoria in Australia, heard about Italian Provincial Tours through a friend from work. She was going to be travelling through Italy for two weeks and had a day spare while staying in Rome. Sam thought a Day Tour out from Rome, would be a lovely way to spend their last day in Italy. 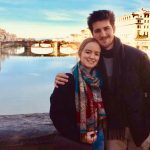 Sam contacted us through our Facebook page to ask about our Day Tours, and if it would be possible to visit Abruzzo and return to Rome in one day. I explained to Sam that it is easily doable. There are regular buses to Abruzzo, leaving from Rome Tiburtina Bus Station regularly in the mornings. There are returning buses in the afternoons and the trip takes a maximum of 2.5 hours, if you travel all the way to Pescara. 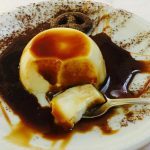 It’s a scenic drive through the Apennine Mountain Range and largely unlike the scenery that you might see traveling along the tourist routes. 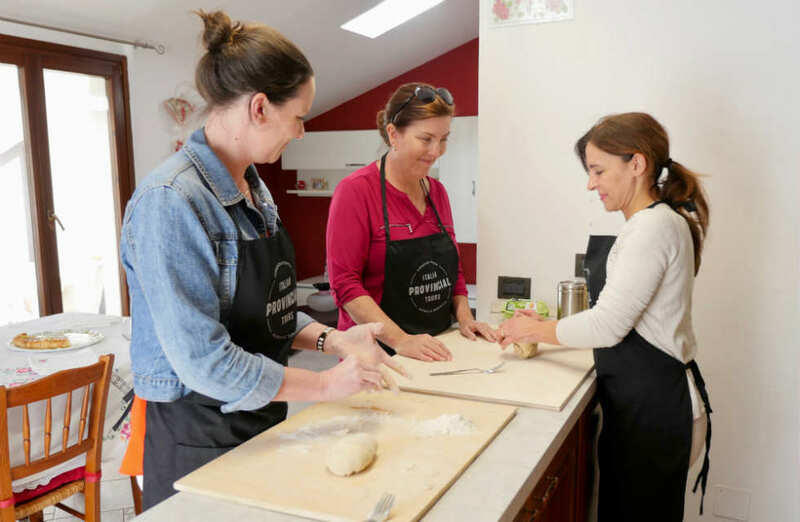 Our Day Tour – Homemade Cooking Class, was exactly the kind of experience Sam was after and she made the booking for herself and her friend Maria, who was traveling with her. 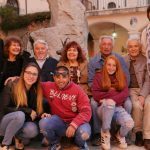 The morning of the tour, we contacted Sam and Maria to make sure that their bus was going to be arriving at the scheduled time, which it was, and we met them at the bus station in Pescara upon their arrival. 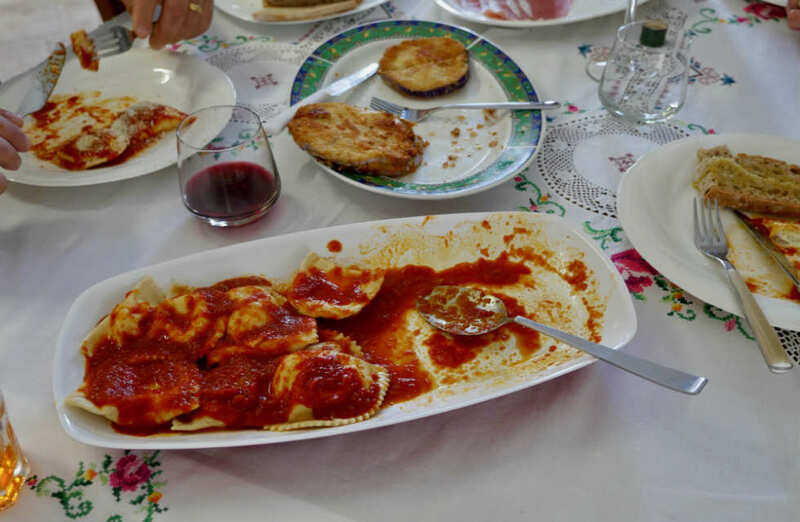 It was a short drive to the Loredana and Alessandro’s house, where we would be their guests for Sunday lunch. 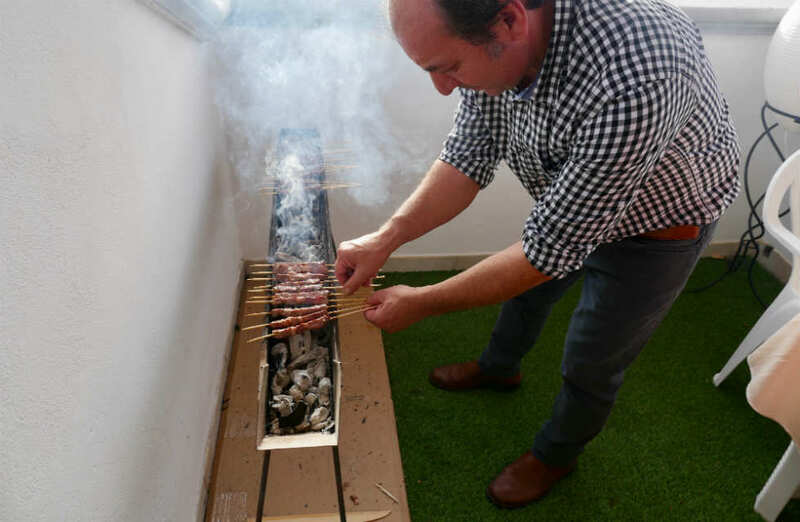 Loredana and Alessandro and their beloved dog, Spike, invited us into their home in true Abruzzese style, with heart-felt hospitality. 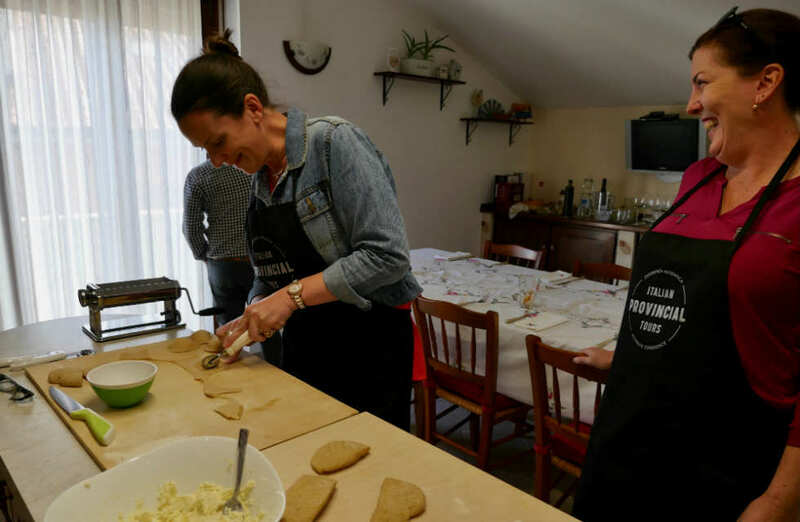 After a refreshing drink and a slice of rustic torte (a type of Italian quiche) that Loredana had prepared, we donned our aprons and Loredana began to teach us how she prepares one of her favourite meals for a leisurely Sunday lunch, ravioli. Loredana speaks only a few words of English (two of which she learned that day) but Marco and I were right there to translate for both sides. Although, with Loredana’s kindness, patience and enthusiasm, much is interpreted naturally. 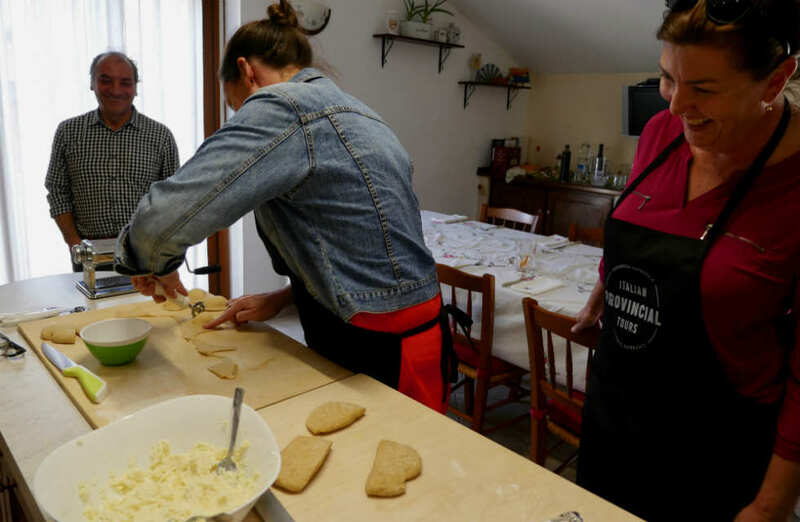 First, Sam and Maria learned how to make two types of condiments for the ravioli, a basic tomato sugo and another type that is served in bianco (literally “in white” meaning “in olive oil”) with fresh pancetta (pork belly) and fungi (mushrooms). 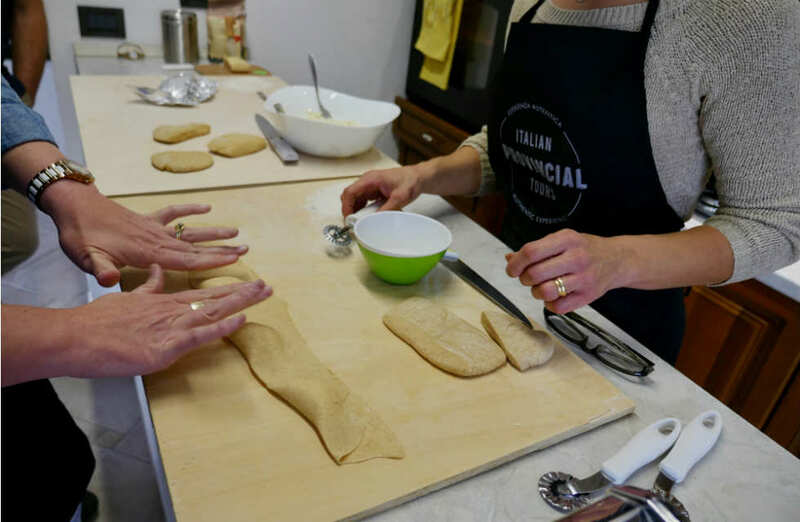 After a spritz (A popular Italian aperitif made with prosecco and Aperol) the learning really began as Loredana instructed Sam and Maria how to make pasta from scratch, explained about the type of flours best to use and how to construct and fill the ravioli. 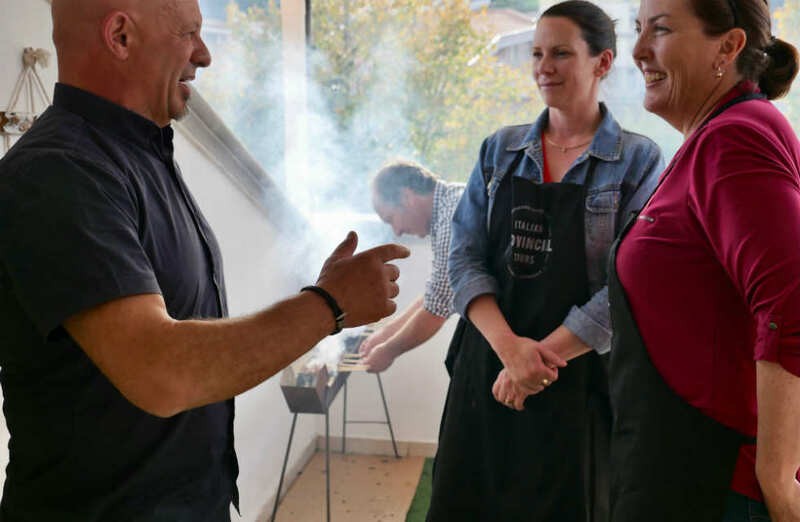 Sam and Maria also learned how to make a simple side dish with eggplants and saw how Abruzzo’s famous arrositicini (sheep’s meat skewers) are cooked on their purpose-build barbeques. 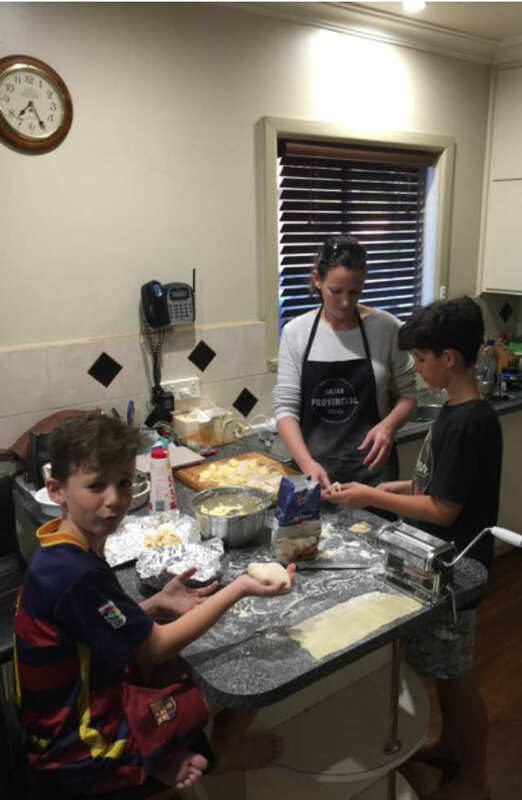 The class is hands-on, not only a demonstration, so Sam and Maria were confident that they could go home to Australia and prepare the ravioli for their families. Which they did (see photos below)! 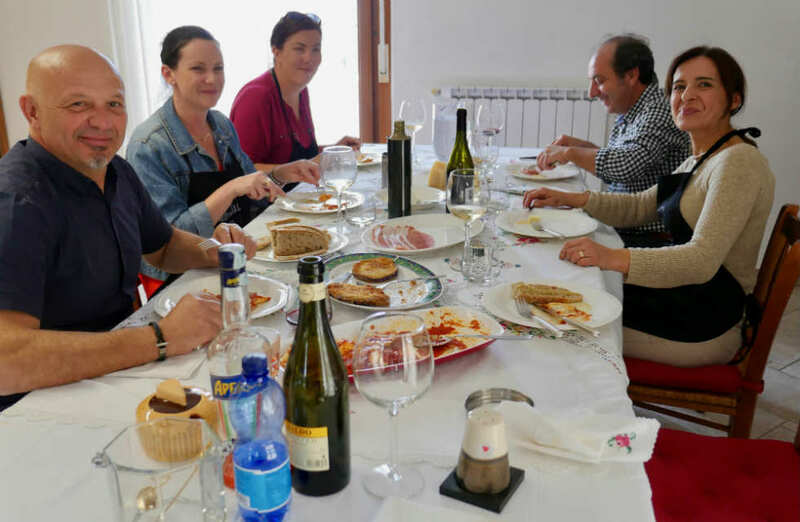 We all sat down together to enjoy what we had made and drank local wines Montepulciano and Pecorino from our friends at Cantinarte. After lunch, we made our way down to an award-winning gelataria where the owners happen to be Marco’s cousins. 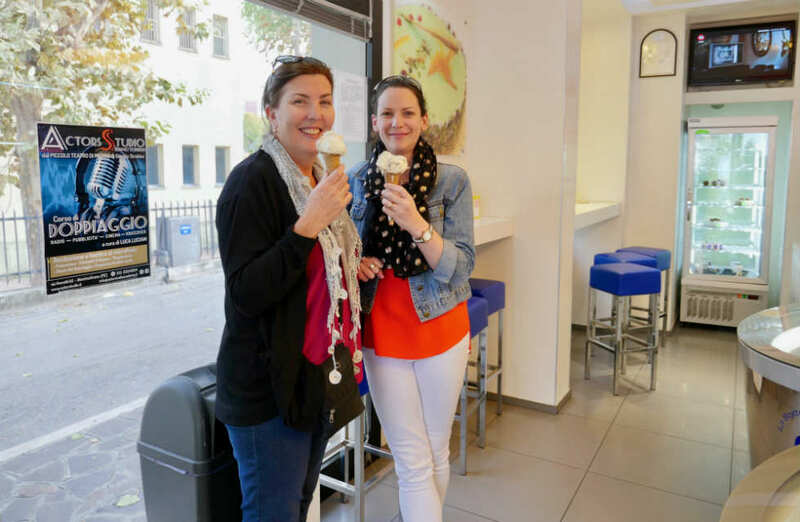 Sam and Maria both agreed that it was the best gelato that they had had during their entire holiday! We bid farewell to Sam and Maria at the Pescara Bus Station with plans to stay in touch and Sam and Maria making plans to return to see more of Abruzzo on their next trip to Italy. 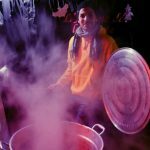 You can read Sam’s review on TripAdvisor here. 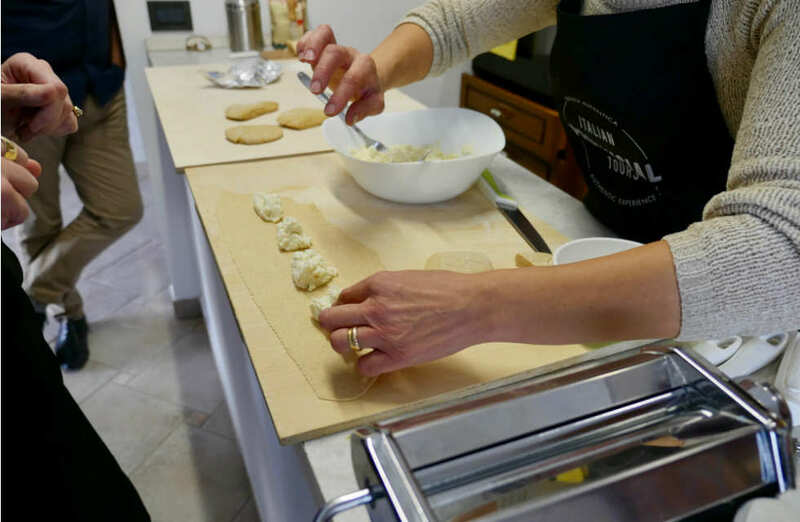 For Loredana’s recipe for ravioli, take a look at this post. Italian Provincial Tours offer private Day Tours in the region of Abruzzo. Set Day Tours are available, or we can design a tour to suit you. 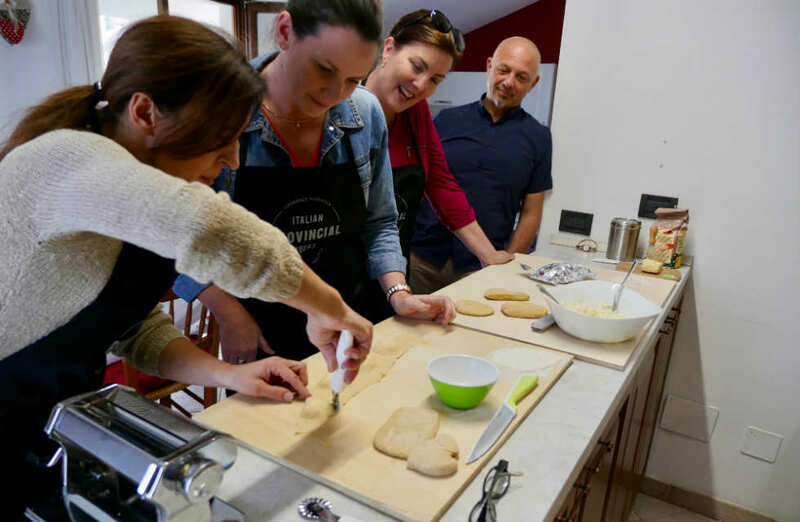 If you would like to stay in Abruzzo and join us for more than one Day Tour, we can arrange accommodation to suit your needs. 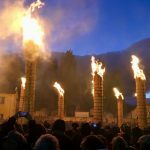 For more about our day tours of Abruzzo, contact us here.